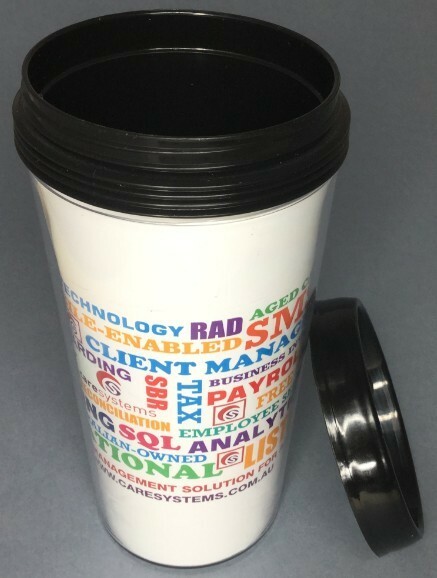 Promotional mugs like the Digital Galilee Custom Mugs are always a great idea for promoting brand for they can be used on a daily basis. These 443ml mugs are made with BPA-free plastic and allow for digital colour insert which means you can use intricate artwork for getting your message across. Such feature makes a great advertising strategy during expos and tradeshows where competition can be quite tough. Custom mugs are available in Clear colour only with black lid. We can personalise each mug with an individual name or message. This is known as variable data printing. It is not just only names though. 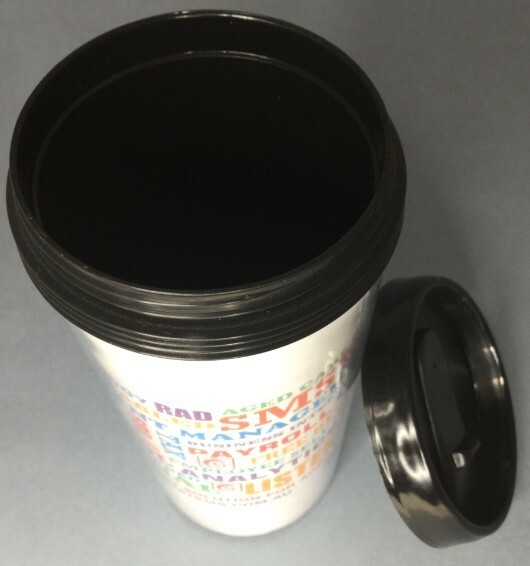 We can have sequential numbers as well as graphics so that each mug will be personalised and individual from the next. 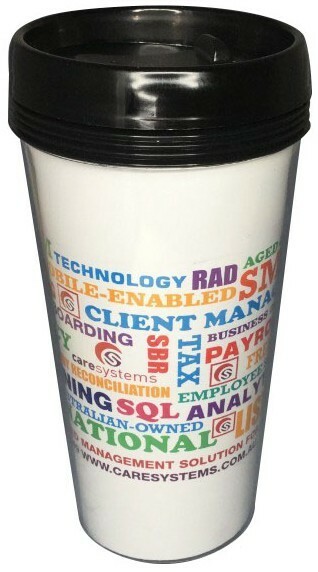 Just ask us about this unique way to really make your promotional mug special! The price listed includes digital insert or full colour process printed logos. Our turnaround is generally 2 weeks upon art approval. Please let us know if you have timeframe for the order. Shown prices are not including GST. We deliver to all states in Australia including NSW VIC QLD ACT SA NT and WA. 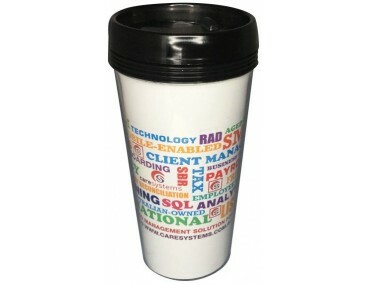 For more promotional travel cups please see our travel cup category. For infromation about our order process, visit our FAQs page.